Do you have problems with your house exterior look? Has you patio or driveway gotten weedy? Or has your brick fence turned into an eyesore because of moss infestation? If you have any of these problems, please call our company and we will help you. We have designed a very practical and convenient jet washing service, and we dare say it is unequalled anywhere in Acton W3. 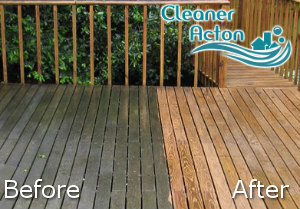 With our jet washing service, you will get to enjoy the original glory of your exterior surfaces. Our cleaners will be able to clean any kind of hard surface outside your home or office, you can count on that. Our company is experienced and we have professionally trained cleaners who know how to take care of all cleaning problems that are common with outdoors surfaces. 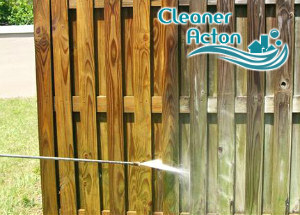 Decking, terraces, driveways, patios, walls, fences, etc, whichever you need cleaned, our cleaners will take care of it. If you hire our jet washing service you will get to enjoy our perfect jet washing service without having to spend a ton of money. We will help you with weed or moss infestation, slippery algae, dust, dirt, and various stains caused from different sources. Even weather conditions can damage and contribute to the dirt and other cleaning problems that are common to outdoors surfaces. Here in W3 London, our jet washing service is known to be the best one, because we always deliver what we promise. Our cleaners will always go the extra mile to leave you satisfied with our work. Call us for an appointment now, let us help you bring back the colour and life into your home exterior.